Summer tweetup atop Joe Fortes Seafood & Chop House's rooftop patio overlooking the financial district on June 24, 2014. Late June means Joe Fortes' annual summer tweetup. 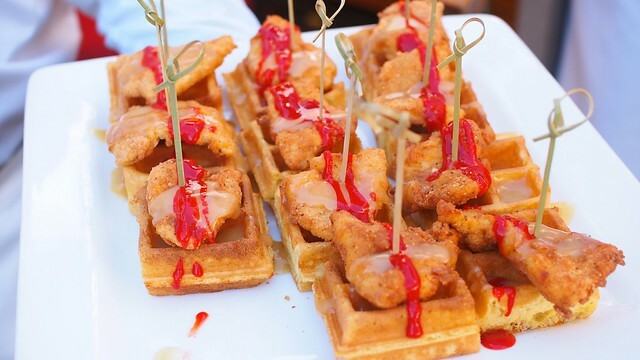 The day proved to be a glorious sunny one on the rooftop with drinks and food (like their chicken and waffles in bite size form) kicking off sunny patio season. 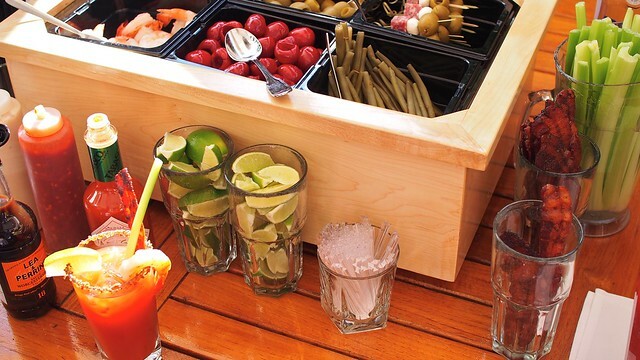 Guests enjoyed JF's DIY build your own Caesar cocktail bar complete with candied bacon. 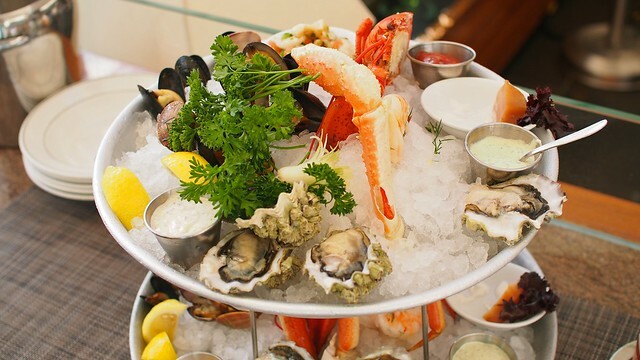 Munching on an ice chilled seafood tower is always a highlight of the seafood and chop house. 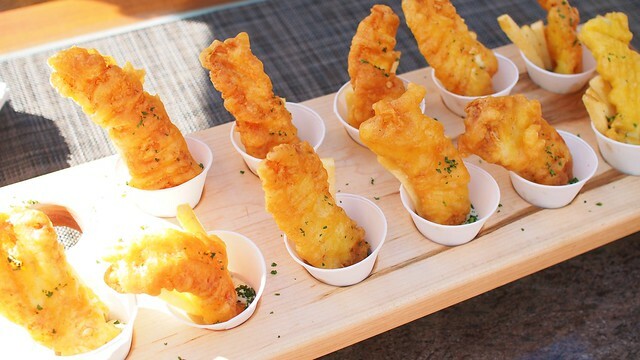 Some classic battered mini fish and chips in a cup made for easy eats. 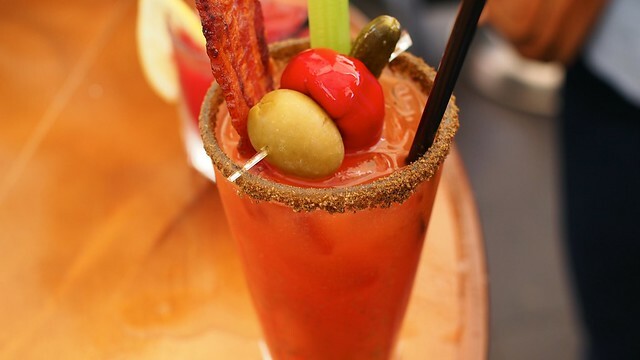 There's just something remarkable about a finely made Caesar cocktail with all the fixings. 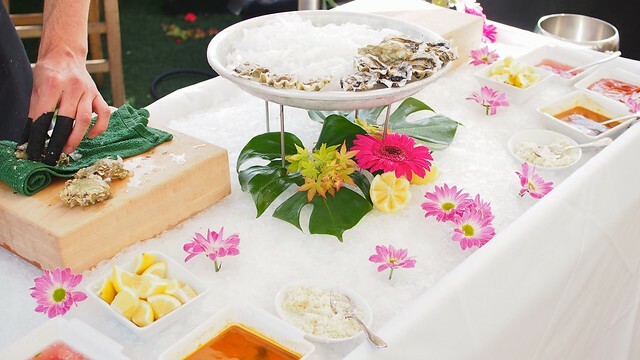 We consumed many an oyster at the freshly shucked oyster bar station served on ice in honour of the departed Oyster Bob.